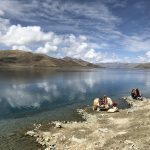 Frequently asked questions about traveling to Tibet, organizing tours and everything you want to know to prepare for the trip. Is it difficult to organize tour in Tibet? Tibet is located in Central Asia on the Tibetan Plateau, the highest plateau on the planet. It is bordering Nepal, India, Burma and Bhutan. What is Tibet famous for? Tibet is a truly unique country for many reasons. First, it is situated on a high plateau with an average altitude of 4,500 meters/ 14,750 ft. Tibetans living here for centuries adapted to the rigid conditions. But for the visitors, it takes time to acclimatize to the lower oxygen levels and different atmospheric pressure. Tibet is called the roof of the world, not only because of its high altitude, but also because nine out of fourteen eight thousanders (The highest mountains on the planet) are in Tibet. That’s why Tibet has always been a popular destination for climbers. Second, Tibet has a remarkable history and culture. Since the adoption of Buddhism as a religion, Tibetans chose to be non-violent and refused to have an army. They also closed the country to the outsiders. That’s why for many years Tibet remained a mystical place where peaceful religion ruled over millions of lay people and the Buddhist monks alike. 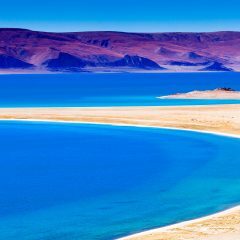 What is the altitude in Tibet? The average altitude of Tibetan Plateau is 4,500 meters/ 14,750 ft. It is the highest plateau in the world. There are a few cities located at the altitude slightly above 2,000 meters/ 6,500 ft, but the vast majority of areas are much higher. Lhasa, the capital of Tibet is at 3,650 meters/ 12,000 ft. At this altitude most people start experiencing effects of an altitude sickness. Since Lhasa altitude is still lower, than an average altitude in Tibet, most of the tours start here. Visitors spend 2-3 days in Lhasa and it helps them to acclimatize before they continue journey to higher destinations. What is Tibetan name for Tibet and Chinese name for Tibet? It is pronounced as “Boe”. In Chinese, it is spelled 西藏 and pronounced “Xizang”. Modern-day Tibet, what are the changes? Many Tibetans are trying to preserve the traditional way of life. They follow old traditions and live according to religious norms. However, there are many changes that came along with industrialization of the region. There are fewer farmlands allocated for nomads, and they have to move to the cities, looking for jobs. As education is not widespread, many of them struggle to find their place in the new Tibet. In the recent years, the infrastructure was growing, and many new roads appeared. It raised concerns about ecological issues brought by the increased use of natural resources. What is the capital of Tibet? The capital of Tibet is Lhasa, the large city with a great history. Lhasa is not only political but also religious and cultural center of Tibet. There is a large airport and a train station in Lhasa and most of the visitors start their journey in Tibet from Lhasa. Is your company different from other travel agency? We are one of the few agencies in Tibet that are owned by Tibetans. We work only with Tibetan drivers and try to arrange your stay in Tibetan owned hotels when possible. 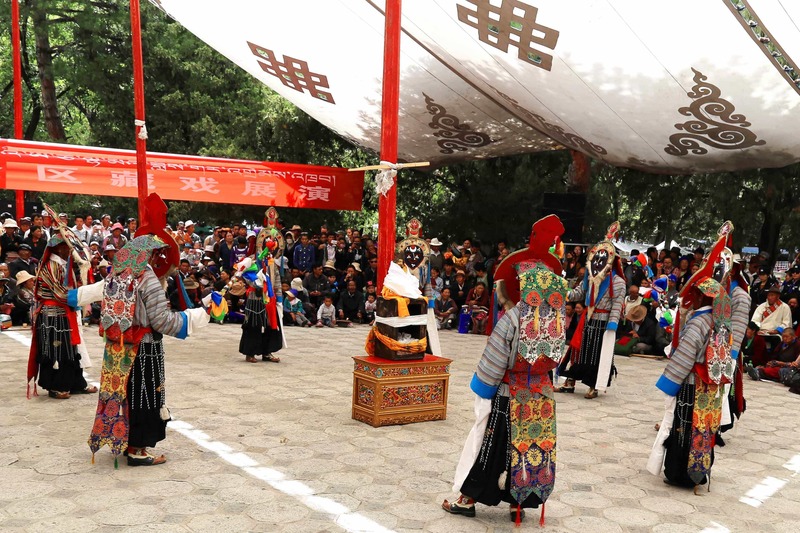 Our team is striving to demonstrate the real-life in Tibet, expose you to the rich culture and traditions of Tibetan people. At the same time, we make your interests our priority during your visit. How can I thank you if I had an outstandingly happy tour of your Agency? First of all, we are happy that we could organize a great tour for you! We would be thrilled to receive the feedback from you, it helps us and other tourists looking for an agency to organize their trip to Tibet. Please, share your feedback on TripAdvisor, on our website. And spread the word around, recommend Wonders of Tibet to your family, relatives, and friends. Can I withdraw cash from the ATM? Yes. You can withdraw money from the ATM of the ICBC bank in Lhasa. There is a 24-hour access to the ATM machines and there is a menu in English. However, sometimes ATM machines don’t work properly or don’t have enough cash. To avoid any issues, we advise having some cash with you as an alternative and a backup. When you travel outside of Lhasa, it might be difficult to find an ATM machine. We suggest taking enough money for your trip outside of Lhasa. 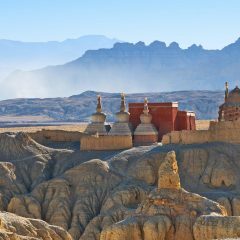 Can I exchange money in banks in Tibet? Yes, you can exchange US Dollars in the Bank of China. Some branches of the Bank of China have special machines that can exchange currency. You need to bring your passport to use these machines. If the branch doesn’t have these machines, or the machines don’t work, you have to fill out forms and the bank workers will help you. Please, allow additional time for it (up to 30 minutes). When you are traveling with our guides, they will take you to the bank and help you with the process. What currencies other than Chinese currency, can be used in Tibet? Can I use my credit card and ATM card? Only Chinese Yuan are accepted in Tibet as a payment method. Credit cards can sometimes be accepted, but there are only a few places that take credit cards, and they are mostly located in Lhasa. Cash payments remain the main payment method in Tibet, especially when you travel outside of the capital. We know that it is one of the main concerns of people who want to visit Tibet. decide where would you like to go and which places to visit. Our destinations guide will help you with it. apply for a Chinese visa. Here you can find a complete guide. We will take care of everything else. We will apply for your Tibet travel permit and send it to you, book hotels, transportation and everything else needed for your tour. 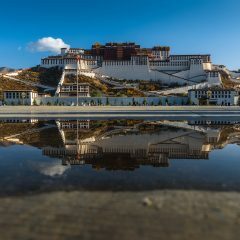 Upon your arrival to Tibet, we will help you to get familiar with Tibet and it’s customs, assist you in locating great restaurants, advise you on what to do on your free time and help you with shopping. No matter how much you’ve read or heard about Tibet, you will be truly impressed by the scenery, culture, and people upon your arrival. Visiting Tibet is a unique experience, but don’t worry. Our guides will meet you at the airport or train station and they will give you all the necessary information about your stay. Many visitors experience some mild effects of being at high altitude on the first day. We recommend drinking plenty of water, trying to get some rest and sleep. What are the most famous traditional dishes in Tibet? Tsampa is the name for the roasted barley flour. It is a Tibetan staple dish and it is used everywhere. Tibetans eat it for breakfast with butter tea and cheese or butter. They also take it with them on long journeys. Monks use it to prepare food to give out during festivals. Momos are traditional dumplings. They are usually filled up with yak meat or vegetables and some broth. They can be served steamed or fried with spicy sauces on the side. Noodle soup is another popular dish that is served in all tea houses. The soup can come with meat or vegetables. Noodles are handmade and can come in a variety of shapes and sizes. Is food safe in Tibet? In general, it is safe to buy food and eat in restaurants and tea houses. Most of the tea shops offer disposable single-use bamboo chopsticks. As always, we advise you to use some reasonable caution. Where can I buy some snacks? There are many small shops everywhere in Lhasa, including the Old Town area. In addition, there are large supermarkets, where you can stock up before you begin the journey outside of Lhasa. In other cities, you can always find small stores selling groceries, toiletries, and essentials, such as batteries and oxygen canisters. While on the road, we make stops at some small towns and villages, where you can buy water, snacks, ice cream, candies, etc. When we arrive in remote areas, the choices might be limited. For example, there are no stores in the tent camp by the Everest and on the trekking route around Mt. Kailash. Our guides will advise you in advance on where and what you can buy. Is it safe to drink water? We recommend bringing your own bottle or thermos and fill it up with boiled water in hotels or restaurants. You can also buy bottled water in any of the stores. Water in Tibet comes from melting glaciers and it is clean and safe. I am a vegetarian, is it possible to find good vegetarian food? Most of Tibetans are Buddhist and they are trying to eat vegetarian dishes during religious holidays. You can always find several delicious vegetarian options even in the small tea shops. Keep in mind, that generally, you will have more options in big cities. In smaller towns, the varieties can be limited to simple food, such as tsampa (barley flour), fried rice, vegetable noodles, vegetable momos (or dumplings), tomato and egg soup and yogurt. We had many vegetarian tourists visiting Tibet and there was never a situation when they couldn’t order vegetarian food. On the contrary, Tibetans always respect your choice to avoid eating meat. What are the symptoms of Altitude Sickness? Will I have the high altitude sickness? In Lhasa, most of the people experience only mild effects of the high altitude sickness. For example, you might feel shortness of breath climbing stairs in Lhasa. Usually, you won’t need any medical treatment. You just need to drink plenty of water, walk slowly and rest. When you are traveling to areas at 4,000 meters and higher, you might start feeling a headache and experience other symptoms. To minimize it we suggest spending at least 2 days in Lhasa to acclimatize to high altitude areas better. At 5,000 meters many people experience at least some of the symptoms of the high altitude sickness. All our guides are trained to recognize this condition. They will give you oxygen if necessary, especially during trekking. The advice is to walk slowly, not to jump, drink a lot of water. If the symptoms get worse, you have to descent. There is no immediate cure other than going down. What is the typical hotel in Tibet? There is a wide range of hotels with various amenities in most large cities in Tibet. In Lhasa, you can stay in 3-5 star hotels. In remote areas, the choices are limited. Very often there are only guesthouses with very basic facilities. I often see that guesthouses offer “basic amenities”. What does it mean? Most of the guesthouses offer dormitory rooms with 5-8 twin beds in each. There are no bathrooms, but you can get hot water to wash your face and hands. The restroom is typically located outside. Is there hot water in hotels? Hotels usually have hot water and shower or bathtub. Do hotels have heating in colder months? There is no centralized heating system. Some hotels offer electric heaters. In a few better hotels you can find heated floors. What is the best way to get to Tibet? There are three main ways to travel to Tibet. The most popular one is to arrive by plane from one of the Chinese cities or from Kathmandu, Nepal. The most popular entry point from China is Chengdu. There are several nonstop flights per day from Chengdu to Lhasa. The second way to get to Tibet is by train. Trains connect large Chinese cities with Lhasa and Shigatse in Tibet. The railroad way is famous for a spectacular view that you can see on the way. It is going through several high passes climbing over 5,000 meters on the way. There is oxygen supply on the train to compensate for the lack of oxygen on the elevated areas. The third way to enter Tibet is through the Tibet Nepal border. The new entry point opened in 2017 at the Gyirong. You will be traveling through the Himalayan range, and the landscape along the way is truly breathtaking. Is it true that taking a train helps to acclimatize? Most of the ride you will spend on the low altitude. Towards the end of the trip, the train starts climbing higher, crossing some passes over 5,000 meters high. To supplement for the lack of oxygen, trains have a system that pumps additional oxygen inside the train. You can expect the level of oxygen similar to the one in Lhasa at an altitude of 3,650 meters. It can help you to acclimatize for the Lhasa altitude, however, you don’t spend long enough time at that altitude to fully acclimatize. Overall, it might help some people to better acclimatize to Lhasa altitude. Taking a train is certainly more helpful than flying directly to Lhasa. However, the time you spend on a train at high altitude is not enough. You will still need to spend 2-3 days in Lhasa to acclimatize. Which train should I take? There are two factors to consider before booking a train ticket. If seeing the best views on the way is the priority, it is better to book a train arriving in Lhasa later in the evening. In that way, you can see almost all Tibetan Plateau during the daytime. If you would like to spend more time in Lhasa, consider booking a train arriving as early as possible. Can I drive from China to Lhasa? 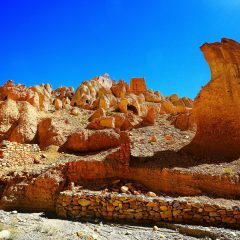 You can visit the Eastern part of Tibet (Kham and Amdo) by driving from Chinese cities. Unfortunately, you cannot drive directly into the Tibet Autonomous Region. As an alternative, you can take a train to Golmud, and take a tour from there. If you want to visit the Eastern part of TAR, you can take a tout there from Lhasa. 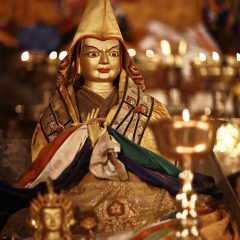 How can I get to Tibet from Nepal? There are two ways to travel to Tibet from Nepal. The first option is to take a flight. There are 2 nonstop flights per week from Kathmandu to Lhasa. The second option is to travel overland. There is a new entry point opened last year at Gyirong. You can travel to the border and then join a tour once you arrive in Tibet. 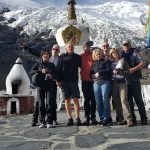 Do you have overland tours from Tibet to Nepal? What medicine should I bring to Tibet? We recommend bringing a small first aid kit. Make sure to have some band-aids, diarrhea medicine, painkillers, cold/flu medications, throat lozenges, antibiotics. You can additionally ask your doctor about altitude sickness prevention medication, such as Diamox, it has, however, multiple side effects. Bring any medications that you are regularly taking or that might be specific to your health condition. What vaccines do I need for my trip? In addition, you can consider getting a Hepatitis A and Typhoid vaccines. There are many stray dogs in some areas. Most of them are not aggressive, since many of them leave in monastery areas and are fed by monks. Also, there were no reported cases of rabbis in the recent years. However, if the rabies vaccination would give you a peace of mind, you can do it as well. Do seek an immediate medical help if you were bitten by a dog. Are there pharmacies in Tibet? Can I buy medication? There are pharmacies in all major cities in Tibet. They sell traditional Tibetan and Chinese medicines, as well as some Western medicine. What if I need to visit a hospital? There are hospitals in all major cities in Tibet. There are equipped with most of the necessary diagnostic and treatment equipment, although it might not be as good as in Western countries. Smaller cities hospitals would only have basic facilities. In the cases of serious illness or injury ,you might consider flying to Chengdu or even to Kathmandu if you need better specialists and higher-standards treatment. We recommend having a travel insurance covering medical expenses, as you have to pay for visiting hospitals in Tibet. What should I bring with me if I travel to Tibet? There are several things to consider while you are packing for your trip. Think about the time of the year, the highest altitude where you are going, whether it is a rainy season and what types of activities you are planning to do. Unless you are planning to go on extended trekking tours with a backpack only, and trying to pack light, we recommend bringing all necessary essentials. You will be able to keep it in a car or van while we are traveling. We require a 20% of the tour cost as an initial deposit to secure your tour. We suggest to make a payment for the deposit using bank transfer. Your personal travel adviser will provide detailed payment instructions. You can pay the remaining balance once you arrive to Tibet. You can do it through bank transfer or by cash. In order to secure your tour, we ask for 20% of the tour cost to be made up front. 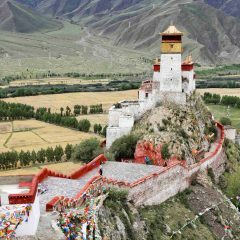 You can pay the remaining cost of the tour when you arrive to Tibet. If you need to exchange money or to withdraw cash from the ATM, our guide will assist you in that. We cannot offer a refund for missed services caused by late arrival, early departure, medical conditions. etc. However, we will try to offer you alternatives or substitutes if possible. We do not charge any fees if you book the tour with us, along with the train tickets. However, there is a 50% cancellation fee on the cost of the ticket. Therefore, we will only be able to refund you 50% of the ticket cost. How can I pay the balance? You can pay the balance by cash upon your arrival in Lhasa. If you need information on how to exchange your currency, please refer to our suggestions». Tibet is politically sensitive area. We strongly advise you to refrain from talking to Tibetans about politics, asking them questions about their opinion or telling any politically-sensitive information that came from outside of Tibet. Do not bring any books, images or CDs/DVDs that might contain any controversial materials, especially if you are traveling from Nepal. The majority of Tibetans are Buddhist. Tibet is a deeply religious country, with almost all aspects of everyday life and behaviour, are ruled by religion. You will see many people visiting temples and monasteries, as well as walking around the holy places (it is called “kora” or circumambulation around the holy places). Most of the holidays and festivals in Tibet are religious. And almost all forms of art are religious as well. There are still some Tibetans who practice Bon religion. 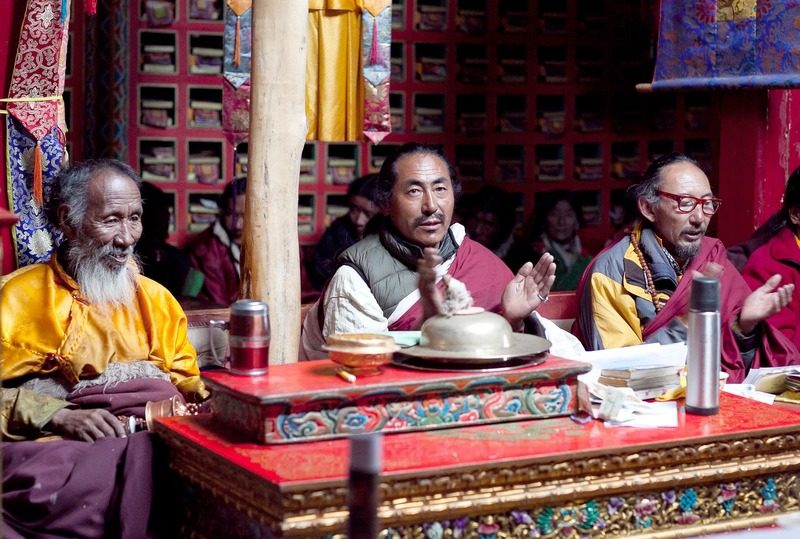 It is an old religion that existed in Tibet before Tibetans adopted Buddhism. Unlike Buddhists, people practicing Bon religion walk around holy places in the counterclockwise direction. You can see some of them walking the kora around mountain Kailash in the opposite direction than the majority of pilgrims. Additionally, there are some Tibetans who are Muslim. There is a Muslim quarter in Lhasa with a mosque in the center of it. 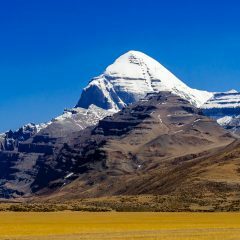 Is it safe to travel to Tibet? Traveling in Tibet is safe if you use some reasonable caution. We always arrange our tours so that it is safe based on weather and road conditions. As it can sometimes be unpredictable, we try to make alternative arrangements if needed. In recent years many new roads appeared in Tibet and it is usually possible to use an alternative route, when some roads are under construction. 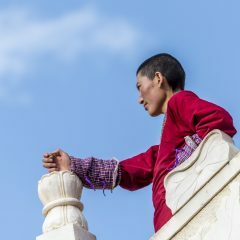 The other important aspect of staying safe in Tibet is paying attention to the reaction of your body to the high altitude. All our tours are designed to give you time to acclimatize to the gradually increasing altitude. In addition, our guides know how to help people suffering from acute altitude sickness: they can distribute oxygen, take you to the lower level or, in case of severe reaction, take you to the nearest hospital. Your safety is our main priority and we will always do our best to arrange the tour in the best possible way. What should I keep in mind when applying for a Chinese Visa? Important: it is legal to travel to Tibet even if you haven’t mention Tibet in the visa application form. 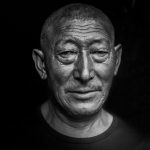 Do I need a Chinese visa to go to Tibet? All visitors traveling in Tibet and China need a valid Chinese visa. Do US citizens need a visa for China? Yes, US citizens have to apply for a Chinese visa in the United States or in one of the Chinese Consulates around the world. Do Singaporean citizen need a visa to visit Tibet? No, Singaporean citizen do not need a Chinese visa. However, they still need Tibet travel permit that the travel agency can arrange for them. Can I get Tibet permit without a tour? Unfortunately, you cannot. You need to be a part of an organized tour (even if you are the only traveler), and the tour agency that arranges your tour will apply for the travel permit for you. 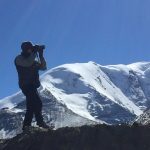 What is the cost of Tibet travel permit? The Tibet travel permit is free and expenses associated with the application process are included in the tour cost. 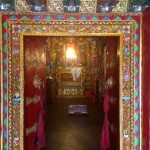 What documents do I need to Travel to Tibet? You need to have a valid passport, a valid China visa and a Tibet travel permit. Tibet Travel Permit is the official document that allow a foreign traveller to enter Tibet. It is issued by the Tibet Tourism Bureau. Sometimes Tibet Travel Permit is also called Tibet Entry Permit or TTP permit. We will arrange TTP for you to travel in Tibet. The places which the traveller going to visit should be specified in Tibet Travel permit. So when the traveller booked the tour, we will apply for the Tibet permit according to the traveller’s tour. And if a traveler wants to customize their own itinerary, travel agent should know your itinerary for the application of Tibet Travel Permit before you enter Tibet. What should I provide you to obtain the Tibet Travel Permit? The information should match the one in your passport. 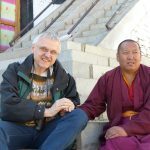 I am working in China and what should I need to apply for the Tibet Travel Permit? It depends on what type of Chinese visa you are holding. copy of your work permit for those tourists holding (Z) visa. a clear scanned copy of the student ID card for those tourists holding (X) visa. How will you send the Tibet Travel Permit? China. We will use Express Mail service (EMS) for delivery of your TTP. And you will get your TTP within 4 days. If you are taking Train, we will send you the copy of your original TTP through FAX or email at your convenience. You need a scanned copy of your TTP at Train Station. 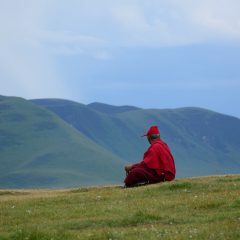 Can I travel independently in Tibet? Travel Agency has to arrange your tour based on agreed itinerary. You will be traveling with a guide in a provided vehicle (if needed). You can create your own itinerary and arrange a private tour. In that case, only you, guide and driver (if necessary) will be traveling together. 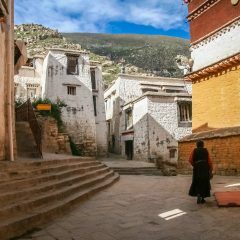 You can explore Lhasa by yourself, however, you will need a guide to take you to most of the important monasteries and temples (such as Jokhang Temple and Potala Palace). What is the weather like in Tibet? The weather in Tibet varies greatly, depending on the season and the altitude. With an average altitude in Tibet over 4,500 meters, the air is thin and the sun radiation is very strong. However, summer in the valleys is hot, and spring and fall also have very comfortable temperatures. Monsoons in the Himalayas bring more rains in July and August. And it can be more cloudy during these months. In the areas higher than 5,000 meters climate is rather hostile and it can be very cold even during the summer months. You should be prepared with warm clothes and gear. What is the best time to travel to Tibet? There are many reasons to visit Tibet any time of the year. The choice depends on your preferences and activities you are interested in. The peak season in Tibet is from April till October, but some visitors option to visit Tibet during less popular periods, when it is also less crowded. The only time when you cannot visit Tibet is the period from the middle of February until the end of March, when Tibet is typically closed for tourists.